Fashion Beauty Etc: What is Google+1? If your a regular reader of my blog you'll probably have noticed the addition of the Google+1 button just underneath my post titles. But what is Google+1 I hear you ask? For quite some time Google has been trying to find a way of competing with Facebook and develop Google into more of a social network. The +1 is their first step in that direction. Clicking on +1 is a way of endorsing a post, website or search result. It works in a similar way to the Facebook like button. The one drawback is that you must have a Google public profile to be able to use it but in this day and age who doesn't have some kind of Google account, whether it be for Blogger, Reader, Gmail, Maps or any of the other multitude of Google services. Those who have a Google account but no Google Profile will see the personalized +1s but can't add them, and those who aren’t logged into Google will see aggregated +1 data. Search results will also have a +1 button next to them so recommendations aren't limited to actual webpages. The sites or search results that you recommend will be visible to any contacts in your Google network and you can look on your profile to see your list of contacts. It's not limited to your Gmail contact list either, it can also include contacts made via Google Talk, Reader, Blogger and YouTube. There's also talk of them also integrating your contacts from Twitter. Google+1 is still in its infancy so I fully expect them to add more features in the future. The rumour mill is in overdrive at the moment concerning what direction this new feature will take, with some analysts predicting that the +1 button may be replacing or influencing Google PageRank eventually. I'm not to sure on how to implement the button on Blogger but I'd assume u add it via the widgets library. To add it to a self hosted Wordpress blog just search for 'Google+1' in the plugins section of your dashboard or if like me you use the Thesis theme, you can just click on this link for full instructions on how to add the button without the need for a plugin. I hope you guys find this post useful in learning exactly what the Google+1 button is for. Interesting especially the bit about page ranking. But I can't see the button on for google +1 on this post? Its there I dunno why it wasn't showing for you. How odd? You'd think it would be more visible on the ipad. I was just going to google this because I had started seeing this little guy pop up in some blogs...thank you!!!!! In blogger it's automatically integrated into their sharing buttons which are an option in the blog post layout. Blogger automatically added the +1 thing to the end of my blog posts. It sounds like a neat idea, but I don't want yet another button cluttering my blog... I'm trying to find a way to remove it! You'll probably find it v difficult to remove as the +1 button is by google just like blogger - the more ways ppl have to share the better I think. I'm glad I'm with wp tho as I have more freedom on what buttons are displayed and where. This is pretty cool, I wonder if blogger will eventually integrate it into blogger templates? This is a great post. I added the +1 to my blog last week (I think) as well after some debate because I don't think many people are really using it right now. Have you noticed that a lot of people click on it here? Great post and Now I clear Idea about what is Google +1. 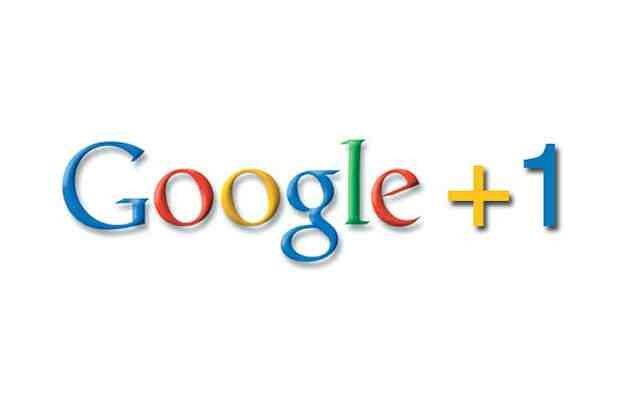 Google always come out with the interesting and useful new things, Google +1 is one of the best tools.